ries of pain echo through the Bor State Hospital Reproductive Health Outreach Clinic in Mingkaman, South Sudan. Mingkaman is the home of an Internally Displaced Persons (IDP) settlement camp for families who fled the conflict that divides the young nation. Each family brings a story of hardship and survival, but today the cries of pain signal good things to come. Today, a baby is being born. A 17-year-old mother-to-be tries to calm herself between labor pains as a midwife and support personnel tend to her. Supplies the team needs are neatly organized on a stainless steel table beside the bed. 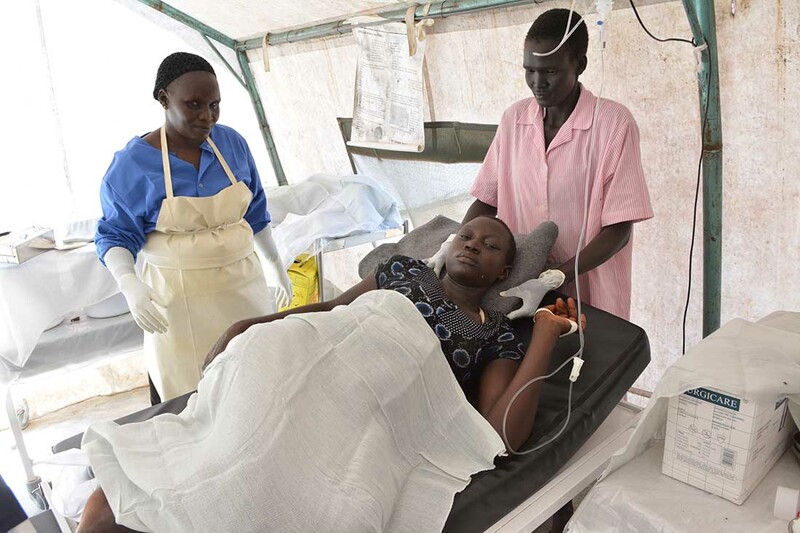 The young mother rests between labor pains at the Bor State Hospital Reproductive Health Outreach Clinic in Mingkaman, South Sudan. “She’s fully dilated. The baby will come soon,” says Tereza, the clinic manager. 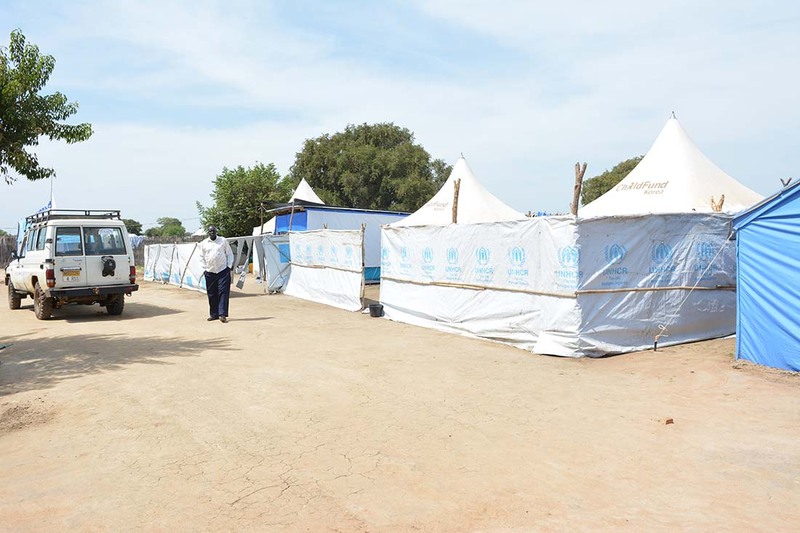 The clinic consists of several white tents, each with a cement floor so they can be washed and swept clean when sand and dust enters. It has been in operation since early 2014 and all of the staff stay on site, so they are open 24 hours a day. The clinic focuses primarily on reproductive health services, but staff members also see patients with daily ailments and malaria, which is common. They also have the ability to test for HIV and provide counseling if there is a positive lab result. This is unique to a mobile clinic; it is one of the few in the area to offer that service. Cries can again be heard on the compound, but they are mixed with words of encouragement from Tereza and the team. A crowd of onlookers assembles at the door to the maternity as a family member peeks over the curtains to see the baby being born. After the mother makes a final push, Tereza catches the baby and quickly hands him off to the midwife who goes through the steps of newborn care to ensure the baby stays healthy. The cord is cut, fluids are quickly removed from the nose and mouth, antibiotics are applied to the eyes to fight infection, and the child is weighed and given back to the mother to ensure bonding. Statistics say South Sudan has one of the highest rates of maternal and child mortality in the world. 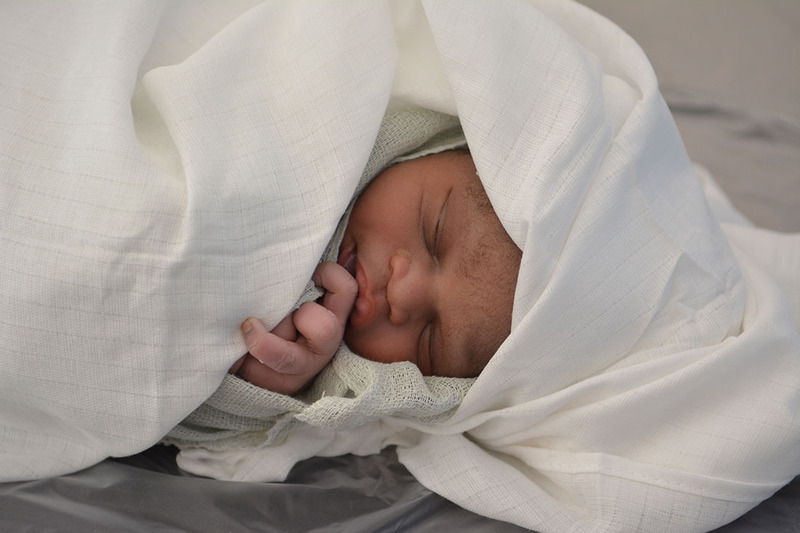 There is a lot of work to be done, but today, the mother and child are healthy and happy. They are safe because of the work being done by Nile Hope and IMA World Health. 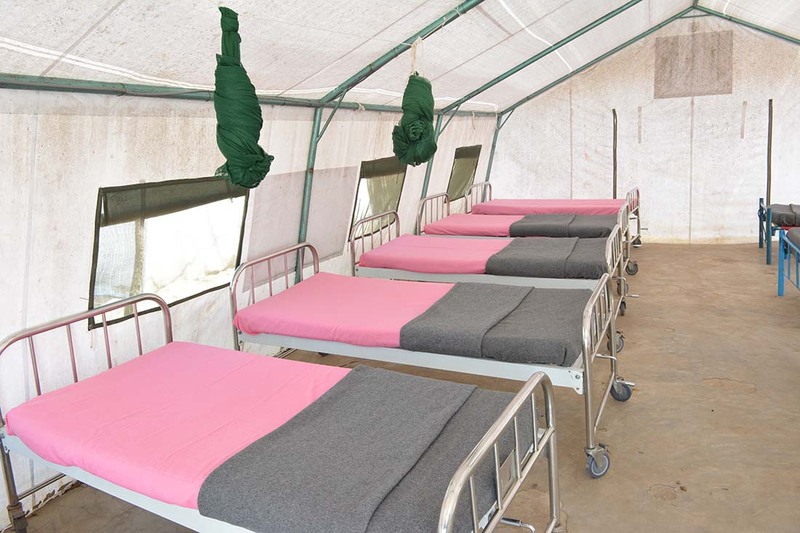 The clinic is funded by UNFPA at $629,695 for 2015 and managed through IMA World Health. UNFPA, the State Ministries of Health in Lakes and Upper Nile States, and IMA joined together to support the opening of this clinic to serve local and IDP populations in Mingkaman as well as re-establish Sexual and Reproductive Health services in facilities that were destroyed or looted in the early phases of the conflict that began in December 2013. IMA works in partnership with Nile Hope to bring health services to affected populations through support to the Bor State Hospital SRH outreach clinic.